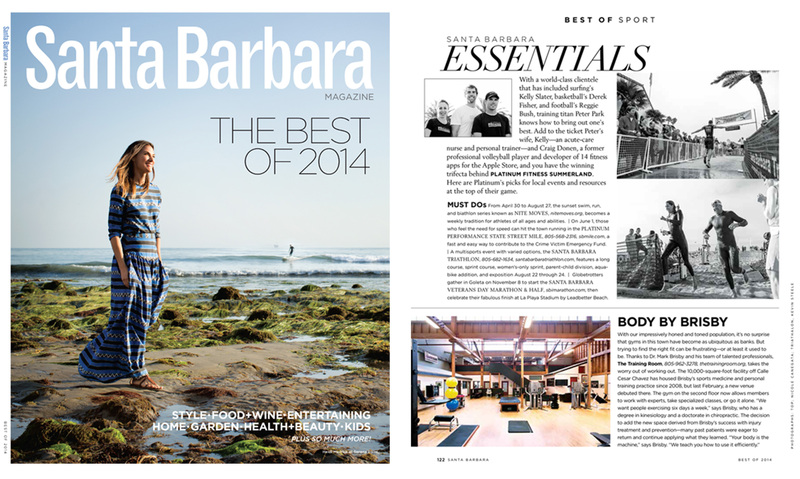 During my last semester at Brooks, I had the opportunity to intern with Santa Barbara Magazine which was such an incredible learning experience for me! I assisted both, a food and architectural interior spread, which was fun and I was able to work alongside food photographer, Leela Cyd Ross and editorial photographer, Lisa Romerein, both amazingly talented female photographers in their respective fields. I was also assigned two photo shoots in the Spring and Summer issues. My first assignment was to capture a really cool gym in the Funk Zone called The Training Room for the “Best of Sport” section. Loved the high ceilings, large windows sills allowing lots of natural light to pierce through, not to mention the staff were a pleasure to work with. My second assignment was to photograph the owner, Lori Frisbie, and some of her goodies for sale at Montecito Treasures, an upscale consignment warehouse for the “Around the Town” section. This entry was posted in Architecture, Editorials, Interior Design, Lifestyle, Portraits, Tear Sheets and tagged Editorial, Leela Cyd Ross, Lifestyle, Lisa Romerein, Montecito Treasures, Nicole Canegata Photography, Photography, Published Work, Santa Barbara, Santa Barbara Magazine, The Training Room. Bookmark the permalink.